I’ve got two things to share today: Walk off the Earth and low carb fry bread. Cool, right? I’ve never seen two people play the same cello before. Today’s recipe is also very cool. It’s a low carb take on Navajo fry bread. This is a non-yeast quick bread that is fried in oil. Our low carb version is a little more delicate than traditional fry bread, so we’ll need to bake it first, and then quickly fry it for a few seconds at the end. Just enough to give it a nice golden color. 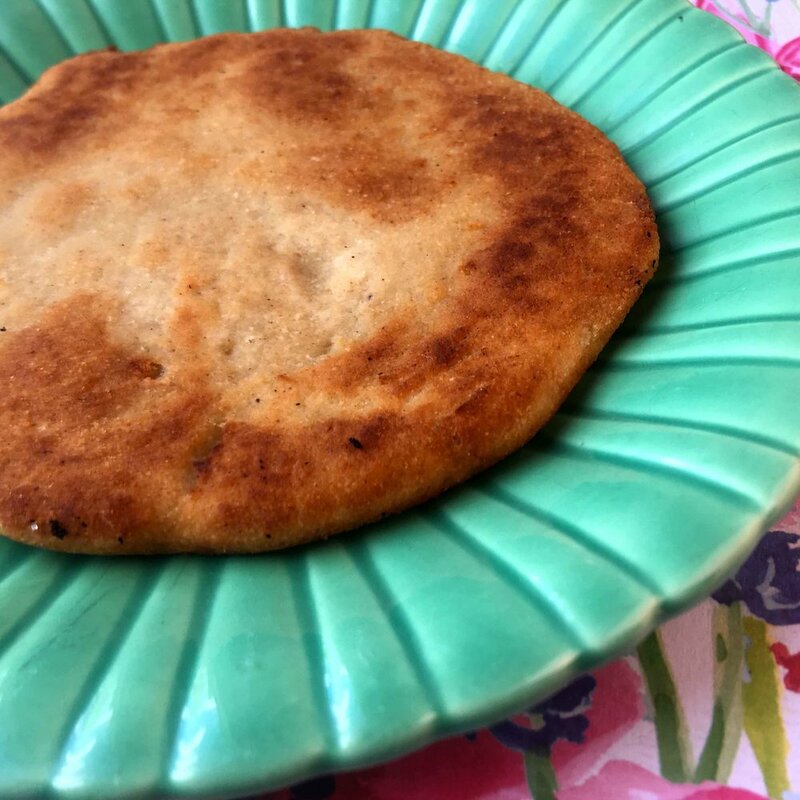 This recipe for Indian fry bread is a low carb take on a classic bread. And each slice has just 3g net carbs. 1. Preheat the oven to 350 degrees F and cover two cookie sheets with parchment paper. 2. 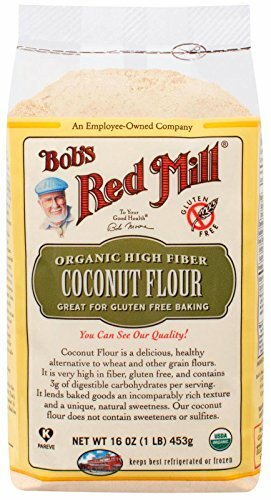 Mix together the coconut flour, psyllium husk powder, baking powder and salt in a medium sized bowl. 3. Mix in the melted butter and mix until crumbs form. 4. Mix in the boiling water. Allow the dough to rest for 5 minutes. 5. Cut the dough into 6 balls. Lay out some parchment paper. Use the palm of your hand to smash the balls into a flat round shape on the parchment paper. Transfer them to the cookie sheets. 6. Bake for 15-20 minutes until firm and cooked through. 7. Add 1/4 inch of canola oil to a large frying pan and heat over medium heat. One by one, add the pieces of bread and quickly cook until golden, only 20 seconds per side. *The nutritional info was calculated with an estimated 1 tablespoon of canola oil. If you liked this fry bread, then you might be interested in my recipes for Rye Yeast Bread, Monkey Bread or Tomato Herb Focaccia. Oh my goodness. I had whole psyllium husk and probably should have run it through the coffee grinder first to make it finer, but it was still mind blowingly delicious! 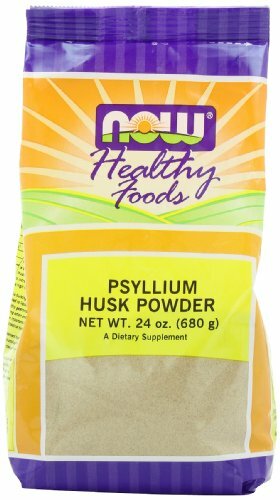 It has never occurred to me to eat a psyllium husk on its own. Good to know it’s delicious! Thanks for posting. Will this work with out psyllium husk powder I want to make it tmrw but dont want have it. No, you’re going to need psyllium husk powder for this one. But it’s a good thing to have if you plan to do more low carb baking. I couldn’t get mine to look just like the picture. It tasted pretty good though. It could be that the oil temperature is off. Frying in oil can be tricky.